I have just logged off the Ann Allen page having placed my Intro entry for Tweseldown on 15th March! I used my March ballot sticker so fingers crossed we get in. Eeeeeeeeeeeeke I’m so excited about this season, it seems to have been a long time coming round again. Below is a pic of Soap and I last year at the Tweseldown unaff’ ODE, he looks pretty stylish in this pic, but you should have seen the other one which we didn’t buy! With Soap off games due to his abscess I turned my attention to my feed shed which was getting a little out of control. Above are some pics of the make over. His foot is looking much better after, poultices, hot tubbing with saline solution, and hydrogen peroxide, fingers crossed we can get a shoe back on this week. I think my colleagues might have guessed after 2 years that I’m keen on eventing! These pics make it a lot easier to drive home in the cold and dark and ride because they are a constant reminder of all the fun to be had as soon as the nights begin to draw out… can’t wait! 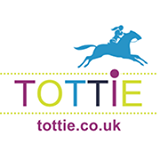 My very first sponsor www.ridemyhorse.co.uk has been rebranded. They have relaunched as www.equineadverts.co.uk. The importance of a good url to drive more traffic was the reason for this re-brand. Promotional activity for them had been put on hold due to the re-brand but now it’s launched we can get going again. I am always looking for more sponsors, the more the merrier! So if you would like more details please get in touch.